Android is perhaps the ruler of the mobile domain when it comes to theming. It offers an experience like no other out there, most of it made possible due to the open ecosystem, which makes it easier for both themers, as well as end-users. System UI and Framework – This consists of the core UI, like the Status Bar, core menus like the Background alpha, Battery icons, Notification Bar. 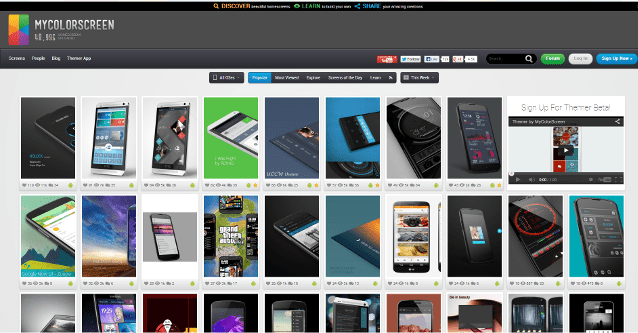 Launcher – This consists of the Home Screen and App Drawer component. 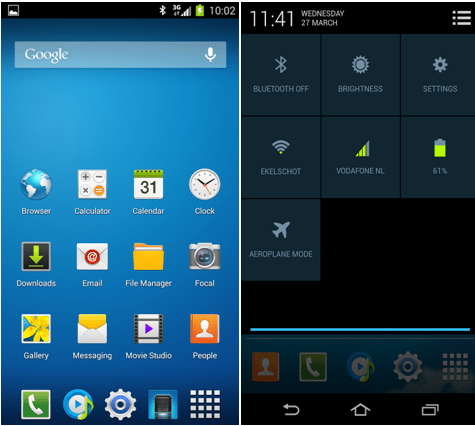 Stock Launchers included by OEM companies are usually hard to theme, since they lack theming capabilities built-in. We recommend switching to a 3rd party launcher like Nova Launcher for the best opportunities. Apps – Who doesn’t know what apps are? A major attraction of the Android OS is the tons of apps readily available through Google Play Store. These come in their own packaged apk files. You can theme individual apps according to your preference quite easily. Backup of your personal data, in case you mess something up. We are going to discuss theming your Android phone in two parts, the first part is the easy method, that is, applying and using themes made by other people on your phone. The second part is for the more geeky people amongst us, that is, making your own theme and using it. Most third party launchers allow you to use icon packs. Icon packs can change almost all app icons easily. 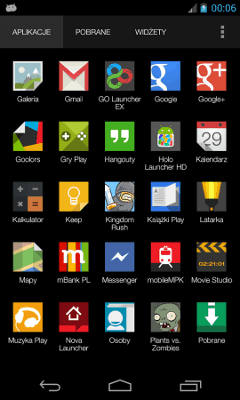 There are several popular launchers including, but not limited to, Nova Launcher, Apex Launcher, Go Launcher EX etc. The process is as easy as installing an icon pack from the Google Play Store. Launchers like Nova Launcher actually allow us to change app icons on per-app basis, so you can create your own experience by mixing and matching various icon packs as per your requirement and taste. One of the most premium icon packs in Google Play Store, with over 1200 carefully designed, awesome looking icons, this has to be the number 1 choice for a newbie Android theme junkie. It supports various launchers including Apex Launcher, Holo Launcher, Nova Launcher, Go Launcher EX and some more. Stark Icon Pack also comes with 13 HD wallpapers as a bonus. Holo icons were created keeping in mind the fundamental Android design guidelines, hence, it mixes really well with the stock Android look. A definite must have for Android and Holo purists. Holo Icon Pack supports most popular launchers out there, including Apex Launcher, Nova Launcher, Go Launcher EX, ADW Launcher etc. Goolors icon pack was created from the idea of Google’s style mixed with colours. 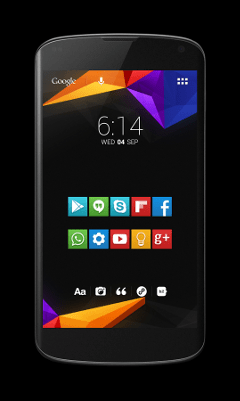 Goolors consists of simple, colourful and pleasant looking icons, and it is compatible with a host of launchers including ADW Launcher, Nova Launcher, Action Launcher Pro, Apex Launcher etc. Goolors boasts of 1000+ icons in its pack, all of them designed with care, giving your device a premium look. Like Stark Icon Pack, Goolors Icon Pack also comes with 18 high quality wallpapers as an added bonus. From the developers of Goolors Icon Pack, we also have another icon pack called Goolo icon pack. It’s basically the same, except the fact that Goolors uses sharp corners and Goolo uses rounded corners. MeeUI Icon Pack is a nice, colourful set of icons based on the stock icons of Meego 1.2 Harmattan OS, which was seen in Nokia N9. The icons themselves are beautiful, nicely rounded and cheery looking. The icon pack supports various launchers including Apex Launcher, ADW Launcher, Action Launcher Pro, Nova Launcher etc. iNex Icon Pack was created as an attempt to create a uniform, holo design language compliant, beautiful set of icons. The icons themselves are very vibrant, and have a distinct 3D sort of look to them, making your phone’s homescreen and app drawer appear lively and visually appealing. 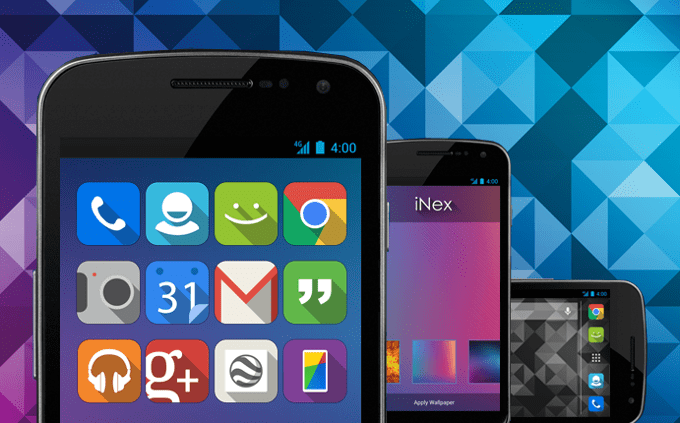 iNex Icon Pack is available in two versions. A paid version with the whole lot of icons, and a free version with just the core set of icons. The icon pack supports various launchers including Apex Launcher, ADW Launcher, Action Launcher Pro, Nova Launcher etc. Who doesn’t know MIUI? One of the most popular, and among the best looking custom Android Distribution out there, MIUI also boasts of an impressively stylish icon set. MIUI v5 icon pack brings the MIUI v5 icons to all devices having a compatible launcher installed, and with over 1900 app icons included, its icon directory is one of the largest out there. The icon pack supports various launchers including Apex Launcher, ADW Launcher, Action Launcher Pro, Nova Launcher etc. MyColorScreen.com is a really cool website to find themes for your Android Device. Here, people create their own uber-cool, super-awesome looking themes and post them for others to see and use. It’s fairly straight-forward to use. You go to the website, browse through their never-ending theme collection. When you find one you like, click on it, and you will receive detailed instructions on how to set up your phone to look like that. MyColorScreen have also created an app called Themer. It’s currently in limited beta, so you have to request for an invite, and wait till you get one. This cool app removes all the hassle, and does everything for you, from downloading the correct icons, to the correct apps, wallpapers, launcher, widgets etc. 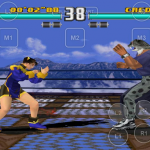 Ultimate Custom Widget, or UCCW in short is a custom widget maker. You can create your own widgets using your own backgrounds, different colours, various information providers in a WYSIWYG editor (What you see is what you get). UCCW comes with its own set of elements for your custom widgets like various clock widgets, a date indicator, calendar widgets, missed events notification, alarms, battery monitor. Its functionality can be greatly enhanced by other plugins, custom images, custom fonts, skins etc. Lots of UCCW skins are available in the Google Play Store. UCCW is practically a necessity in most of MyColorScreen’s themes. T-Mobile Theme Manager is a feature included in majority of stock Android based custom ROMs out there, including CyanogenMod, AOKP, Paranoid Android etc. It’s built into the ROM, so it allows for changing each and every element of every app, including system apps, status bar, notification drawer, app layout etc. If you are running a ROM having this theme engine included, this is by far, the easiest way to theme your device completely. 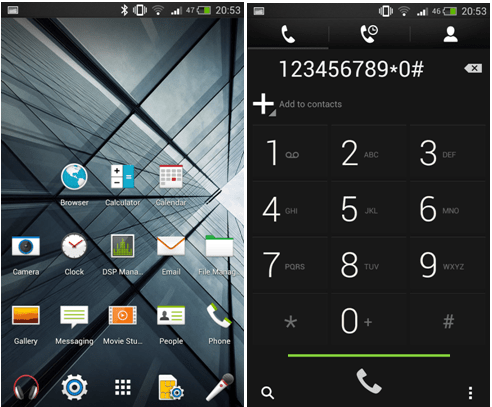 This premium theme makes your Android Device look exactly like the new Galaxy S4. It themes your whole system, from Launcher, to icons, to various 3rd party apps. It’s designed for HDPI (800×480) and XHDPI (1280×720) devices. It is confirmed working on CM10.2 , CM10.1 , CM10 , CM9 and AOKP, but this should work fine on all ROMs having T-Mobile Theme Manager. 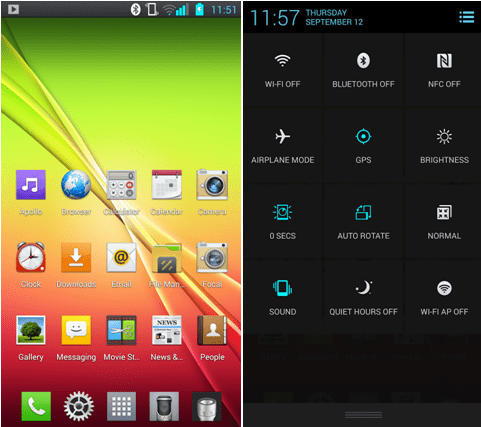 This theme changes the look of your Android device to resemble the newly launched LG Optimus G2. It themes your whole system, from Launcher, to icons, to various 3rd party apps. It’s designed for HDPI (800×480) and XHDPI (1280×720) devices. It is confirmed working on CM10.2 , CM10.1 , CM10 , CM9 and AOKP, but this should work fine on all ROMs having T-Mobile Theme Manager. This theme uses a combination of great icons, great wallpapers, great status bar styling and ultimately emerges a winner. It themes most of your system apps, your widgets and some 3rd party apps. Try it out for yourself to see why it’s so great. It’s designed for HDPI (800×480) and XHDPI (1280×720) devices. It is confirmed working on CM10.2 , CM10.1 , CM10 , CM9 and AOKP, but this should work fine on all ROMs having T-Mobile Theme Manager. 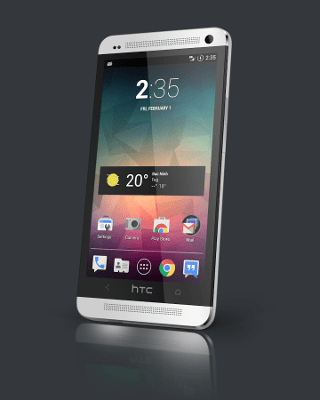 This theme is made to resemble HTC Sense 5, exactly how it looks on the HTC One Smartphone. It themes your whole system, from Launcher, to icons, to various apps. It’s designed for HDPI (800×480) and XHDPI (1280×720) devices. It is confirmed working on CM10.2 , CM10.1 , CM10 , CM9 and AOKP, but this should work fine on all ROMs having T-Mobile Theme Manager. 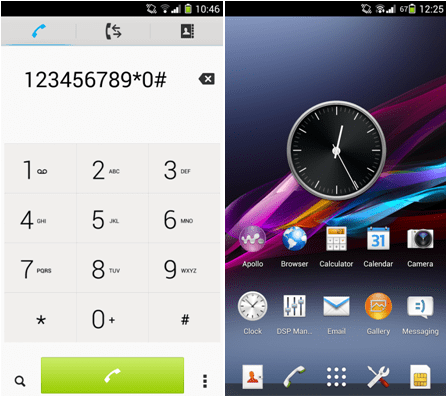 This premium theme transforms your device’s look into the gorgeous Xperia Z look. It themes your whole system, from Launcher, to icons, to various apps. It’s designed for HDPI (800×480) and XHDPI (1280×720) devices. It is confirmed working on CM10.2 , CM10.1 , CM10 , CM9 and AOKP, but this should work fine on all ROMs having T-Mobile Theme Manager. This theme is designed keeping in mind that Android Holo Design Guidelines mixed with imagination of how Android 4.4 KitKat will look like. It themes your whole system, from Launcher, to icons, to various apps. It’s designed for HDPI (800×480) and XHDPI (1280×720) devices. It is confirmed working on CM10.2 , CM10.1 , CM10 , CM9 and AOKP, but this should work fine on all ROMs having T-Mobile Theme Manager. If you don’t have a custom ROM with T-Mobile Theme Manager, don’t fret, you can still use these awesome themes. If you have a rooted phone, install XPosed Framework from http://forum.xda-developers.com/showthread.php?t=1574401. Then, install the plugin XTheme Engine from http://forum.xda-developers.com/showthread.php?t=2240180. You need to modify the stock themes a bit in order to make them compatible with XTheme Engine. A comprehensive guide to modifying existing themes can be found here (http://forum.xda-developers.com/showthread.php?t=2334637). Theming your phone’s bits and pieces can require quite a steep learning curve. However the easiest way to start is to examine the theme structure, and by modifying other themes. This part can also be used to theme other apps as per your liking. You need to decompile the apk’s by using Apktool. After that, you will get the decompiled app. Whatever you need to change here lies in the res/drawable and res/drawable-____ folders. The application icons lies in the res/mipmap-___ folders. In the res/layout folder, you will have lots of xml files which decides the layout of the in-app elements. Changing the graphics are as simple as replacing those image files with other ones with the same dimensions. After you have finished your modifications, you can use Apktool to recompile it into an apk, which you can then install on your phone. Bear in mind, that modifying other’s work and sharing them on the internet is not allowed, since most of the themes out there are copyrighted. There is no end or limit to the amount of customization that Android can undergo. There are lots of apps, tweaks, visual changes and mods which can change the whole look and feel of your device. For such an open OS, the sky is the limit. Useful guide! all the mentioned theming packs are really stunning and beautiful. i haven’t tried purchasing any icons till now as I’m not aware of it. I’m gonna surely try them out..
You have shared some awesome tools here. As far as customizing my smartphone goes, I have only used different launchers till now. I am not sure whether to root my phone or not. It’s a whole lot of risk. Is it worth the risk? It’s really amazing with fully support for you. You should try if you want to create your own unique theme. Fantastic, a good icon for these Android App. Thanks a lot for your work. i attend more and more collection. Love to try making my own theme pack but doesn’t have enough time to start it.. right now my best option is to try some of these ready made theme available for free download.. Nice find. 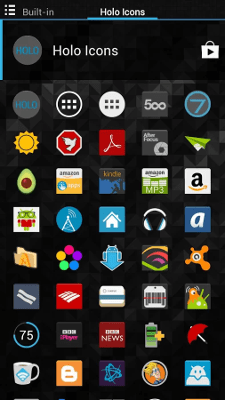 Nice Icon Packs list. I already use the stark icon pack but holo icon pack looks cool too. MyColorScreen theme looks really nice and I have to check it out. Thanks for the share Shaunak. I very much like this article because i love android apps which are always crazy and easy to install in device. Thanks for sharing such a nice post about android themes. Won\’t theming make the operating system slow and vulnerable to malware? Nope, not at all. All these methods are safe, none will make your phone vulnerable to virus , malware etc. Nice collection of packages for making themes. Very useful for me. Thank you. All the theming packs are really so cool, however I haven’t used any premium icon pack. But, I’ve used Holo and MIUI v5 icon pack, both are good enough. Anyway, thanks a lot for sharing this useful guide.